Here’s a quick summary of common FAQs I normally tackle. 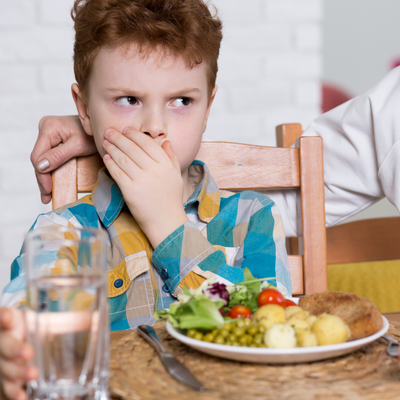 Although most kids thankfully outgrow this phase, some instances of severe picky eating might indicate serious emotional or behavioral issues in a child. Consult a doctor if you’re worried that this might be the case with your child. It depends on the kind of foods your kid shuns e.g. he could develop if he continuously refuses to eat fruits and veggies. Also, children who don’t eat a varied diet run the risk of becoming malnourished. This is why it’s important to encourage healthy eating by teaching kids to ‘eat a rainbow’ to get a variety of nutrients. Severe cases of picky eating call for medical intervention. So consult your pediatrician if your child’s fussy eating gets progressively worse and starts interfering with their health and your family life. A doctor will be able to determine if there are any underlying causes of the problem as well as prescribe medication should any be required.